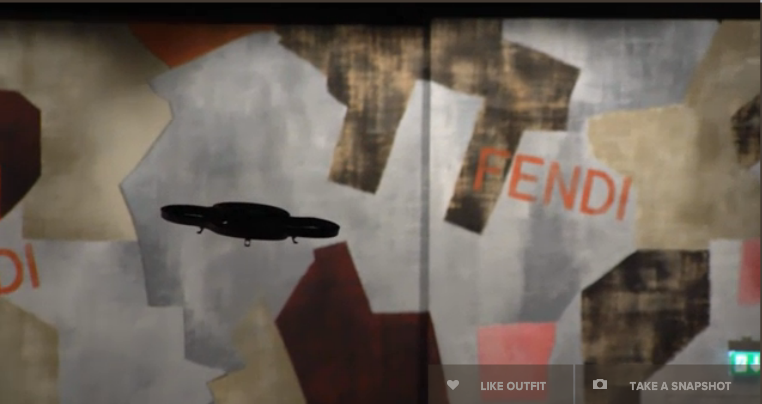 Flying robots hover over the catwalk during Fendi’s show today. 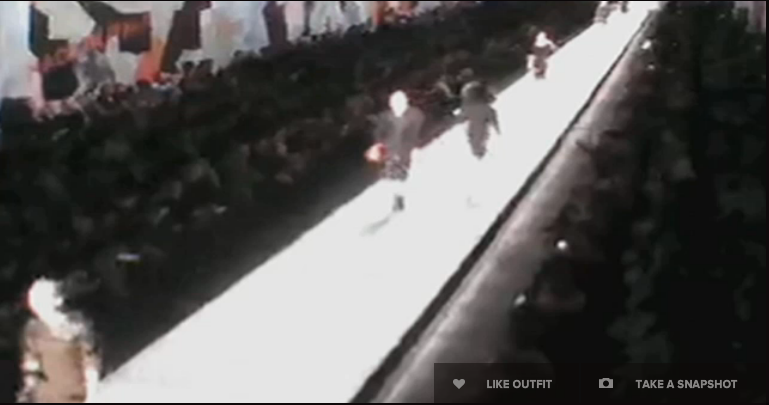 Watching live streaming fashion shows online is nothing new. The online shows make it easier for every day people to become engaged with a brand, and lets be honest, it’s the next best thing to actually attending the show. Fendi decided to take streaming to the next level when revealing their Autumn Winter 2014 collection. During today’s show at Milan Fashion Week, viewers had the opportunity to view the catwalk through a live video stream or through the eyes of a Fendi-branded drone. The Italian fashion house had several high definition drones flying throughout the show venue capturing every moment of glory through aerial photographs and video. According to New York Magazine’s online fashion blog, The Cut, Fendi is referring to the flying robots as “an innovative project” that “surpasses the traditional notion of fashion shows.” Like many other brands, Fendi is staying on the competitive edge of creativity. Designers are doing what they can to generate buzz and what a better place than during a high-profile fashion show. It seems everyone is taking their hand at technologically innovative schemes to keep viewers and fans attracted and fascinated beyond the final walk. Unfortunately, for technology’s sake, the drone cam was very blurry, shaky and off balance. The quality of the stream was very poor and pixilated. However, Fendi achieved just what I’m sure they intended to, to generate hype for their show. For decades, designers have been implementing such technological excitement into their shows. If you remember, Viktor & Rolf adapted blue-screen technology into highly developed blue articles of clothing for their AW 2002 collection. The looks were brought to life with models that appeared to be wearing an array of images from winding highways to coral reefs. From Thierry Mulger and Alexander McQueen to Marc Jacobs, Chanel and Louis Vuitton outrageous antics on the runway are sure to continue. While some technology use to scare designers, now more than ever they are embracing the fast and ever changing field with open arms in an attempt to remain relevant and up to date. I’m curious to see which designer will raise the bar during Paris Fashion Week in the coming days.